Registration is $325, with a discounted registration fee of $275 available through April 19, 2019. The fee includes continental breakfast and break refreshments daily, a catered reception and symposium materials. Please register online and pay your fees in advance so that adequate materials are available. Some travel funding will be available for students giving oral or poster presentations at the symposium. Students whose abstracts are accepted for presentation will be notified in time to apply for travel funds. Graduate students are invited to join the competition for best oral presentation and best poster. Winners will receive $300 in equipment. When you submit your abstract online, check the box to enter the competition. Fishermen and industries engaged in marine resource extraction are invested in understanding the status and trends of marine ecosystems and targeted resources. These industries are also well positioned to contribute to, support and inform marine science. Individuals involved in those industries have direct interest in and knowledge of marine resource dynamics. The intent of this symposium is to explore effective strategies and approaches to integrate industry perspectives and insights in fisheries science. Industry represents many different sectors. Each of these groups have questions and insights that might contribute to marine science and fisheries management. Each of these sectors also provide unique opportunities, tools, approaches, and platforms to observe physical and biological phenomena and to further scientific research efforts. Effective cooperative research between scientists and industry requires identifying questions of joint interest, determining effective means to collaborate and leverage resources, skills, and insights, and processes to facilitate the integration of data and perspectives to inform interpretation and application of results. This symposium aims to provide a forum for discussion on ways to facilitate effective cooperative research, a platform for scientific talks on the application and results of cooperative research, and opportunity to evaluate how such research might be best envisioned, applied and implemented. The symposium aims to involve participants from a variety of relevant marine industries, address these issues through facilitated discussion, identify best practices, and articulate a set of case studies for effective collaboration. The symposium also aims to involve scientists from a wide range of sectors, including state and federal agencies, universities, research institutes and industry science. We are interested in perspectives from different contexts and systems, including international work in this area. Cooperative research is inclusive of a broad range of studies and analyses that include marine ecosystems, fishery management, and social-economic considerations related to resource management, resource extraction, and resource conservation. Ideally, collaboration is evident from start to finish. This entails joint investment in identifying research questions, developing an approach, informing study design, developing methods, and ensuring informed data analysis and synthesis. It also entails understanding how resulting information might be used to improve understanding of marine ecosystem structure and processes, inform fishery management, sustainability, and resource use and access, and/or interpret social-economic dynamics drivers and responses. To be effective, these types of collaborations require understanding the strengths, perspectives, interests, structures, and sensitivities of participating groups, as well as identifying methodologies and study designs necessary to ensure robust scientific results. This symposium is designed to address these questions through a variety of formats for exchange. Sessions will be held for oral presentations and posters on ongoing, completed or planned cooperative research projects and effective strategies towards cooperative research. Panel discussions will also be convened, including invited speakers representing institutions and industries engaged in collaborative research. 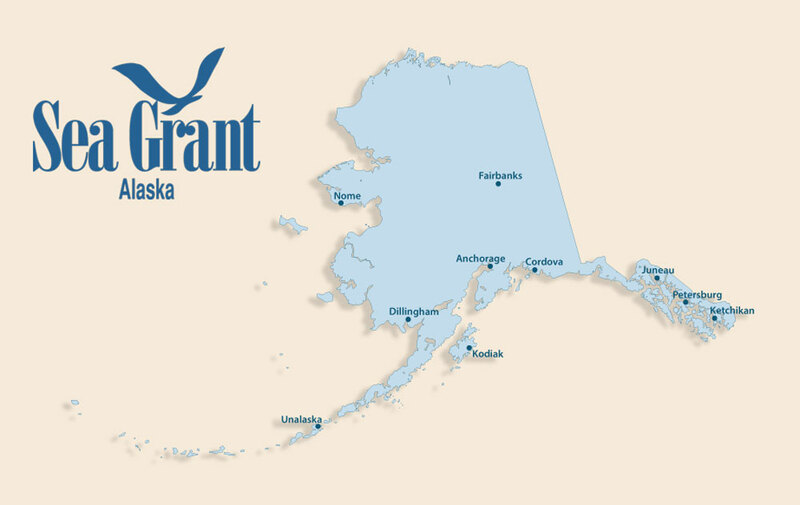 The symposium organizers anticipate the development of several concrete products, including (1) a statement of best practices for cooperative research, (2) a series of case studies on effective collaboration, and (3) a special issue for presented talks published through Alaska Sea Grant. The Alaska Sea Grant College Program has been sponsoring and coordinating the Lowell Wakefield Fisheries Symposium series since 1982, in partnership with the Alaska Department of Fish and Game, NOAA Alaska Fisheries Science Center, and the North Pacific Fishery Management Council. These meetings are a forum for information exchange in biology, management, economics, and processing of various fish species and complexes, as well as an opportunity for scientists from high-latitude countries to meet informally and discuss their work. Presentation and poster files from the 2017 Wakefield Fisheries Symposium are available for download. A draft agenda (revised 4/17/19) is available for download (PDF). The early registration fee of $275 has been extended through April 19. The registration fee is $325 after April 19. A discounted room rate is available for conference attendees. The conference will conclude on May 9 (instead of May 10). For more information, please contact Tara Borland.